Visiting Jaipur and failing to visit Shri Kalyan Ji temple is like missing a very big opportunity. To avoid this you must plan a trip to this beautiful temple and Hire a Jaipur to Shri Kalyan Ji Mandir Diggi taxi from ingo Cabs. By this way, you will get a chance to visit this amazing temple and get blessings of Shri Kalyan ji. When you will book a cab from ingo Cabs, then you will get a chance to enjoy your trip without any worries. There are numerous benefits of booking a cab from ingo Cabs to visit Shri Kalyan Ji from Jaipur. For instance, when you book a car from ingo Cabs, then you can be rest assured that you are driving safely without any worry for time and other things. Moreover, all the cabs are well maintained and driven by experts, so you can focus more on adding attractive places to enjoy during the trip. 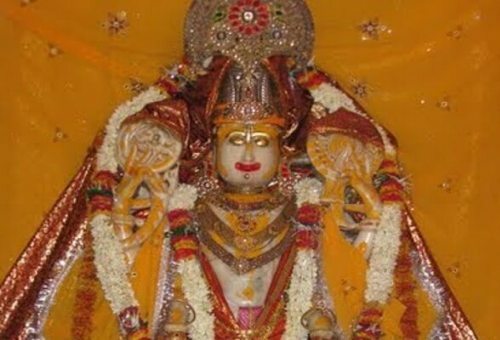 Road connectivity is really very good and so you must go for selecting the option of booking a cab from ingo cabs to visit Shri Kaljan Ji temple.